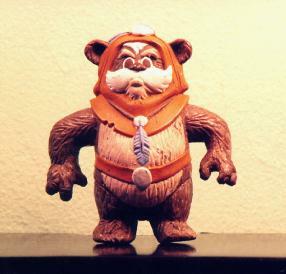 This particular figure is a late-stage protomolded, prototype and part of the unreleased second series of Ewoks cartoon figures. 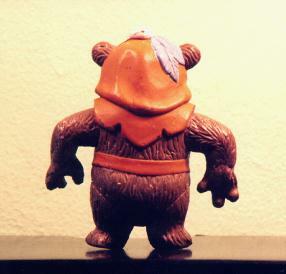 This figure was machine made, machine painted, and appears exactly as it would have for production. Though, it is important to note that it would have probably been produced with a sturdier plastic and cast in the main color, brown, instead of being cast in white and painted brown as this prototype is.